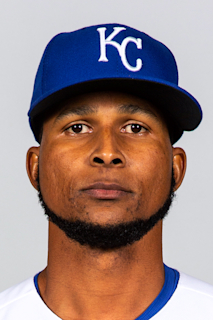 Ervin Ramon Santana...Twitter: @ErvinSantana_54...wife Amy...son Jonathan, and daughter, Sofia...enjoys teaching young children baseball fundamentals and has been active in Angels and Royals baseball clinics...changed name from Johan in 2003. Left Twins spring training in mid-March to make a start for the Dominican Republic in the World Baseball Classic at San Diego; allowed four runs on six hits in 3.2 innings pitched and was dealt the loss against Team USA ... Was Twins Opening Day starter, the second time in his career; allowed one run on two hits in 7.0 innings pitched to earn the win April 3 vs. Kansas City ... Began the season 5-0, 0.66 ERA (41.0 IP, 3 ER) in first six starts April 3-May 2; held opponents scoreless three times and allowed exactly one run in each of the other three; according to Elias, he became the second pitcher in franchise history to allow no more than one run in each of his first six starts of a season; Walter Johnson started 1913 with a streak of seven straight such starts for the Washington Senators ... Tied single-game career high with four home runs allowed May 7 vs. Boston ... Went 10-6, 2.99 ERA (120.1 IP, 40 ER) in 18 starts pre-All-Star break, tied for third in the AL in wins, third in innings pitched and fifth in ERA; named to AL All-Star team for second time in career and allowed one run on one hit in 1.0 inning (Yadier Molina solo home run) ... Pitched five complete games on the season: April 15 vs. Chicago-AL, May 23 at Baltimore, June 9 at San Francisco, July 5 vs. Los Angeles-AL and August 2 at San Diego; tied for the most complete games in baseball with Corey Kluber and had more than 27 entire teams ... Recorded five RBI in three Interleague starts, the most ever for an American League pitcher in Interleague Play; tied Dan Haren (2010) and Woody Williams (2003) for the all-time record; most for a Twins pitcher since Bert Blyleven had six pre-DH in 1972 ... Held left-handed hitters to a .215 batting average and right-handers to a .234 average ... His 3.28 ERA was the lowest for a Twins pitcher who made 30 or more starts in a season since Johan Santana's 2.77 in 2006 ... Went 10-3, 2.71 ERA (109.2 IP, 33 ER) in 17 road starts and 6-5, 3.90 ERA (101.2 IP, 44 ER) in 16 home starts; 10 road wins were tied for third-most in baseball and most for a Twin since Johan Santana had 10 in 2007 ... Made 30 starts for the ninth time in career and surpassed 200.0 innings pitched for the sixth time in career ... Led Twins pitchers in wins (16), starts (33), innings pitched (211.1) and strikeouts (167) ... Given 2017 Joseph W. Haynes Award for Twins Pitcher of the Year, voted on by the Twin Cities Chapter of the BBWAA ... Made third career postseason start (9th appearance) in AL Wild Card game October 3 at New York-AL, allowing four runs on three hits in 2.0 innings pitched ... Underwent capsular release/debridement procedure to right third finger MCP joint February 6, 2018, a surgery performed by Charles Melone. Was Twins Opening Day starter, the first of his career...made start April 4 at Baltimore but pitched just 2.0 innings due to a one hour and 10 minute rain delay after the second inning. Eclipsed the 2,000 career innings pitched mark April 14 vs. Chicago-AL...became just the sixth Dominican-born pitcher to do so, joining Juan Marichal, Bartolo Colon, Pedro Martinez, Pedro Astacio and Joaquin Andujar. Placed on 15-day disabled list April 26 with a lower back strain; reinstated May 6. Pitched eighth career complete game shutout July 6 vs. Oakland, allowing two hits, no walks with eight strikeouts. Had second complete game of the season and 16th of career July 26 vs. Atlanta; suffered the loss, allowing two runs on seven hits in a Twins 2-0 defeat. Finished July with a 1.90 ERA (42.2 IP, 9 ER) in six starts; tied for first in the AL in innings pitched for the month and sixth in ERA. Recorded season-high 10 strikeouts August 21 at Kansas City (7.0 IP), 17th career game with double-digit strikeouts. Pitched 6.0-plus innings in 20 starts, 7.0-plus in 10 starts and 8.0-plus in three starts; recorded 17 quality starts. Posted 2.65 ERA (88.1 IP, 26 ER) post-All-Star break, lowest for a Twin since Johan Santana's 2.54 ERA in 2006 (minimum 80 innings pitched). Posted a 3.38 ERA, the second lowest of career (3.24 in 2013); along with 181.1 innings pitched, he became first Twin since Johan Santana (2007, 3.33 ERA, 219.0 IP) with an ERA as low with as many innings pitched. Made 30-plus starts for eighth time in career and reached 180.0-plus innings for the seventh time. Ranked 10th in AL in ERA (3.38). Ranked first on Twins staff in innings pitched (181.1), starts (30) and strikeouts (149), and second in wins (7). Given 2016 Joseph W. Haynes Award for Twins Pitcher of the Year, as voted on by the Twin Cities Chapter of the BBWAA. Placed on Restricted List for violation of Major League Baseball's Joint Drug Prevention and Treatment Program and missed Twins first 80 games....Made three starts for Rochester June 20-30, going 3-0, 1.74 ERA (20.2 IP, 4 ER). ...Made Twins debut July 5 at Kansas City, allowing two runs on three hits in 8.0 innings pitched with three walks and eight strikeouts; the eight strikeouts were tied for second most ever for a pitcher in their Twins debut (Boof Bonser - 8 in 2006 and Camilo Pascual - 12 in 1961).... Earned first win as Twin July 17 at Oakland, tossing 7.2 shutout innings with five hits allowed and one walk.... Posted 15.2 scoreless inning streak July 17-23, the third longest for a Twins starter on the season.... Recorded consecutive double-digit strikeouts totals with 10 August 30 vs. Houston (7.0 IP) and tied his career-high with 11 in next start September 5 at Houston (8.0 IP)...marked the 15th and 16th time in career with double-digit strikeouts and second time to do it in consecutive starts (2014)... first Twin since Francisco Liriano in 2012 to strikeout double-digit batters in consecutive starts....Went 5-1, 1.62 ERA (50.0 IP, 9 ER) with 14 walks and 47 strikeouts in final seven starts from August 30-October 2, including a record of 4-0, 1.75 ERA (36.0 IP, 7 ER) with 11 walks and 34 strikeouts in five September starts...ranked fourth in AL in ERA for September, tied for third in wins, tied for ninth in innings pitched and tied for 10th in strikeouts....Went 5-3, 3.64 ERA (64.1 IP, 26 ER) in 10 road starts and 2-2, 4.53 ERA (43.2 IP, 22 ER) in seven home starts. Spent first season with Atlanta and first in National League after signing with Braves March 12...Earned win in first start April 9 vs. New York-NL, tossing 8.0 shutout innings with three hits allowed and no walks...Recorded 11 strikeouts in second start April 14 at Philadelphia, 12th time in career with double digit strikeouts...Recorded 10-plus strikeouts in consecutive starts: July 23 vs. Miami and 11 July 28 vs. San Diego (13th and 14th career time with double digits); one of 15 pitchers in NL to do so...Went 6-0, 2.98 ERA (45.1 IP, 15 ER) in seven starts July 18-August 18; tied for second longest winning streak of career and one of 12 NL pitchers in 2014 to have six-game win-streak-or-longer...Held right-handed batters to a .235 (77-for-328) batting average and left-handers to a .291 (116-for-398) average...Went 10-4, 3.75 ERA (103.1 IP, 43 ER) in 16 home starts, tied for second most home wins in NL and tied third most in baseball; 10 home wins tied career-high (10-2 at home in 2006)...Pitched over 195.0 innings for sixth time in career and struck out over 175 batters for third time in career...Ranked 12th in the NL in wins (14) and tied for team-lead with Julio Teheran. Played first and only season with Kansas City after offseason trade...recorded season-high 8.0 innings in two of his first three starts: April 8 vs. Toronto and April 14 vs. Minnesota...named the Royals Pitcher of the Month in April, going 3-1, 2.00 ERA (36.0 IP, 8 ER)...allowed four home runs May 23 vs. Los Angeles-AL, tying career-high...earned 100th career win June 8 vs. Houston...went 2-0, 1.99 ERA (40.2 IP, 9 ER) in six June starts...held opponents to a .207 batting average on road, fourth-best in the A.L...posted a 5-3, 1.99 ERA (68.0 IP, 15 ER) in 10 starts against AL Central opponents...his 1.99 ERA and .187 opponent batting average within the division were best among pitchers with 10-or-more starts vs. the AL Central...his 0.87 WHIP within the division was second in the league among pitchers with 50.0-plus innings pitched...his run support (3.88) was the sixth-lowest in the AL...walked one batter-or-less in 15 of his 32 starts...ranked ninth in the AL in ERA (3.24), eighth in WHIP (1.14) and opponent batting average (.238), and tie. Ervin spent his eighth and final season with the Angels, marking his third straight campaign with at least 30 starts...Posted a 4-10 record and a 6.00 ERA over his first 19 starts, but was 5-3 with a 3.76 ERA in his final 11 starts...allowed just 49 hits over 67.0 innings in those final 11 starts, the third-fewest in baseball from July 30 through the end of the season among pitchers with at least 60.0 innings during that span...Tossed first career 1-hit shutout (7th career shutout) on June 16 vs. Arizona, joining Nolan Ryan as the only two Halos that have thrown a no-hitter and a one-hitter with the club...fell 7 outs shy of the second perfect game in club history...Recorded 50th career home victory on September 21 vs. Chicago, matching his career-high with 11 strikeouts...marked his fourth 10+ strikeout game of 2012 and the 11th of his career...Allowed a Major League-leading 39 home runs, a career high, and 1 shy of the Angels' team record...Limited right-handers to .213 (68-for-320) average compared to .262 (97-for-370) vs. lefties. Finished season 11-12 with four complete games, one shutoutand a 3.38 ERA (228.2 IP - 86 ER) in 33 starts for the Angels...Setcareer-bests with a 3.38 ERA and 228.2 IP while matching career-high33 starts...Among A.L. leaders, ranked tied for sixth instarts, tied for fourth in complete games and seventh in inningspitched...Tossed six innings-or-more in each of final 17 starts...Went 5-1 in final six road starts after starting season 1-3 in firsteight starts away from the Big A...Tossed first career no-hitter,July 27 at Cleveland (see box below)...Earned A.L. Co-Player ofthe Week honors (along with Royals' Billy Butler) for the periodending July 31...Pitched at least 7.2 innings allowing one runor less in five straight starts (July 22-August 12), becoming thefirst Angel to accomplish the feat since Rudy May did so in five consecutive starts, Aug. 29-Sept. 15, 1972...Since1990, only three other pitchers have accomplished the feat: Chris Carpenter (seven straight) in 2005, Roger Clemensin 1997 (five) and John Smoltz in 1992 (five)...Angels were 11-6 in his final 17 starts but just 17-16 in his 33 startsoverall...With complete game victory August 2, became first pitcher since 1991 (Tommy Greene, Philadelphia) toearn a CG win in first start after a no-hitter...Marked fourth straight victory and 12th career complete game (thirdof season)...First time in career tossing back-to-back complete games...Tossed seven innings-or-more in 12 of final16 starts (Angels won 10 of the 12 contests)...21 of his 33 starts were quality starts. In sixth Major League season, posted a 17-10 record with fourcomplete games and a 3.92 ERA (222.2 IP - 97 ER) in 33 startswith Angels...Allowed 221 hits (27 HR) while walking 73 andstriking out 169...Set career-highs in wins, innings pitched andcomplete games while matching his career-high with 33 starts...Led club in victories and placed second behind Jered Weaver(224.1) for club-lead in innings pitched...Four complete gamesmatched total from previous four seasons combined...Tossedsix innings-or-more in 17 of final 19 starts and 28 of 33 startsoverall...Tossed seven innings-or-more 16 times, going 11-2 inthose starts...Has tossed six innings-or-more in 39 of last 46starts, dating back to 2009...Halos scored six or more runs in 14of his 17 wins and two runs or less in seven of his 10 losses...Tossed quality starts in 21 of 33 outings...Won nineof final 12 decisions, finishing season with a career-high 17 wins...Allowed a career-high 27 home runs, fifth mostin the A.L....Is currently eighth on Angels' all-time list with 856 career strikeouts...Dean Chance (857) is next onthe list...Earned 76th career victory, September 21st placing him ninth on the Angels all-time list...Kirk McCaskill(78) is next on the list. Posted 8-8 record with two shutouts and a 5.03 ERA (139.2 IP - 78 ER) in 23 starts with Angels in 2009...Allowed 159hits (24 HR), walked 47 and struck out 107...In first six starts, posted a 1-3 record with a 7.47 ERA (31.1 IP - 26 ER)...Was 7-3 with a 3.90 ERA in 16 starts after All-Star Break...Began season on 15-day disabled list due to a sprained rightelbow...Was placed on DL, April 5 (retroactive to March 27) and was reactivated from rehabilitation on May 13...Earnedfirst win, June 5 at Detroit, where he allowed just one run through 8.2 innings while striking out a season-high sixbatters...Suffered a second stint on 15-day disabled list with right forearm/triceps stiffness...Was placed on DL, June23 (retro to June 12) and was reactivated, July 2...Recorded three losses in three consecutive decisions from June 11to July 8...Hurled three-hit shutout vs. Rays, Aug. 11 at Angel Stadium (6-0 win; 9 IP, 3 H, 2 BB, 6 S0), first SHO sinceMay 5, 2008...Won four straight starts, Aug. 6 - 22 (4-0, 3.33)...In final start, tossed fourth career shutout in Angels'division-clinching game, Sept. 29 vs. Texas (11-0 win; 9 IP, 7 H, 1 BB, 2 SO)...Became first pitcher to toss a shutout in adivision-clinching game since Albie Lopez accomplished the feat for Arizona, Oct. 5, 2001...Two shutouts on season tiedhim for third most in AL...Pitched six innings-or-more in 15 of 23 starts, including 11 of final 12. Completed season 16-7 with two complete games, one shutout and a 3.49 ERA (219 IP - 85 ER) in 32 starts...Allowed 198 hits (23 HR), walked 53 and struck out 214...Established career highs in wins (also 2006), ERA, innings pitched and strikeouts...Among AL leaders, ranked tied for seventh in wins, fourth in innings pitched, second in strikeouts and fourth in average against (.237)...Became first Angel pitcher to collect 200-or-more strikeouts since Chuck Finley (200) in 1999 and first right-handed Angel to accomplish feat since Kirk McCaskill (202) and Mike Witt (208) in 1986...214 strikeouts on season were most by Angel since Finley had 215 in 1996 and most by a right-hander since Nolan Ryan (223) in 1979...Became only fourth Angel in club history to open a season 6-0-or-better...Teammate Joe Saunders became third player to join group earlier in season...Other two pitchers are Jered Weaver (started 9-0 in 2006) and Aaron Sele (7-0 in 19 games/15 starts in 2004)...Since 1920, Saunders and Santana are the 8th pair of teammates to start 6-0 simultaneously...The previous duo was Pedro Martinez (7-0) and John Burkett (7-0) of the 2002 Boston Red Sox (Courtesy of STATS LLC)...Along with Saunders, is just second duo in Major League history to post 5-0 records-or- better in month of April (Aaron Sele & Rick Helling - both 5-0 for 1998 Texas Rangers)...Became third Angel pitcher in club history to post 5-0 record in month of April (Frank Tanana-1978 & Saunders-2008)...Struck out 10 batters twice (July 12 at Oakland & Aug. 24 vs. Minnesota)...Struck out seven-or-more batters in seven straight starts, Aug. 1-Sept. 4, becoming first Angel pitcher to do so since Nolan Ryan in 1978 (seven starts)...Collected 50th career win, Sept. 4 at Detroit (7-1 score)...Selected to first career All-Star Game...Pitched fifth inning (1 H, 1 R, 1 ER, 1 HR, 2 SO) of AL's 4-3, 15-inning win at Yankee Stadium...Was 11-2 on road after 1-10 mark in 2007, equaling best road record in club history (10+ decisions; Bartolo Colon, 11-2, 2005)...Hurled three-hit complete game, defeating Detroit, 3-2, May 27 at Angel Stadium...Three-hitter is low-hit game of career...Also threw 4-0 complete game shutout, May 5 at Kansas City. Completed season with 7-14 record and a 5.76 ERA (150 IP - 96 ER) in 28 appearances (26 starts) withAngels...Allowed 174 hits (26 HR), walked 58 and struck out 126...Was 7-14 with a 5.92 ERA (146 IP - 96 ER) asstarter...Was 2-1 with a 5.01 ERA (32.1 IP - 18 ER) in five starts with triple-A Salt Lake...Was recalled from triple-ASalt Lake, Aug. 17...Was optioned to Salt Lake, July 18...Made first regular season relief appearance of careerin Angels' 5-3 loss, Sept. 14 at Chicago (3 IP, 5 SO)...Five strikeouts equaled most by an Angels reliever thisseason...Made second relief outing, Sept. 30 at Oakland (1 IP, 2 SO)...Was 2-2 with a 2.96 ERA (27.1 IP - 9 ER)in six appearances in Sept...Was 6-4 with a 3.27 ERA (77 IP - 28 ER) in 12 games at home...Lost career-high sixstraight decisions (June 15-Aug. 28; 9 starts)...Allowed career-high 14 hits in six innings pitched, July 17 at TampaBay...Marked most hits allowed by an Angel pitcher since Tommy John, April 23, 1983 vs. Baltimore and is one shyof club record set by Paul Hartzell (15), Sept. 9, 1976 at Kansas City...Struck out career-high 11 batters, July 3 atTexas (5.1 IP; 8-3 loss)...Collected second career hit, first extra-base hit and RBI (2), June 9 at St. Louis (1/3, 1 R,2B, 2 RBI, 1 SO)...Marked first extra-base hit by Angels' pitcher since Tim Belcher, June 9, 1999 at San Francisco(2B)...Is 2-for-9 with 2 RBI lifetime...Allowed team high 26 home runs in 150 innings (1.56 per 9 IP)...Allowed 21HR in 2006 (204 IP; 0.93 per 9 IP)...Limited opponents to three earned-runs or less in 13 of 26 starts...Pitched intoseventh inning-or-later in 10 starts (5-3 record)...Longest outing was seven innings pitched (6 times)...As starter,walked 57 batters (2 IBB) and struck out 119 (2.19 BB & 4.58 SO per start)...Angels were 11-15 in his starts. Santana led the Angels staff with a career-high 16 victories against eight losses. He pitched more than 200 innings (204) for the first time in his career and had an ERA of 4.28. Santana also set career bests in strikeouts (141). His victory total tied for eighth in the American League. Santana won seven straight decisions from June 6 to July 15. He shut out the A's on Sept. 29 over seven innings in his final start of the year, five days after holding them to one run on two hits in eight innings. Santana struck out a career-best 10 batters on April 24 in six shutout innings. He beat the Yankees on April 8 in his first start of the year, allowing one earned run in 5 2/3 innings (Santana is 5-0, including the postseason, against the Yanks in his career). Santana was 4-0 with a 2.48 ERA in five starts in June. He was 10-2 with a 3.02 ERA at Angel Stadium, but he was just 6-6 with a 5.95 ERA on the road. Completed rookie season with 12-8 record, one complete game, one shutout and a 4.65 ERA (133.2 IP - 69 ER) in 23 starts in 2005...Angels were 13-10 in his starts...Recalled from triple-A Salt Lake, June 14...Optioned to Salt Lake, May 28...Recalled from double-A Arkansas, May 17...Was 1-0 with a 4.19 ERA (19.1 IP - 9 ER) in three starts at Salt Lake in 2005...Was 5-1 with a 2.31 ERA (39 IP - 10 ER) in seven starts at double-A Arkansas in 2005...Was pitcher of record in Angels' 4-3 win, Sept. 27 at Oakland...Victory clinched second consecutive AL West title for Angels...Was 4-0 with a 3.38 ERA (26.2 IP - 10 ER) in final four starts of season...12 wins is most by Angel rookie since Jason Dickson in 1997 (13)...Led Angel staff with four wins in July, first Angel rookie with at least four wins in a month since John Lackey with four in August, 2002...Made major league debut, May 17 at Cleveland, in Angels' 13-5 loss...First four batters reached safely, hitting for the cycle (triple, double, single & home run)...Allowed three runs in first inning (2 on HR by Ben Broussard, one in third frame and two-run home run by Travis Hafner in fourth inning...Posted first major league win with five-hit complete game shutout vs. Chicago White Sox, May 23 at Angel Stadium (4-0 score; 9 IP, 5 H, 1 BB, 7 SO)...Victory was first of major league career...Retired first 10 batters in game...Allowed four singles and a double...Allowed one runner to reach second base...Threw 115 pitches, 83 strikes...Marked John Garland's first loss of season (8-1)...Became youngest Angel to throw complete game shutout (22 yrs., 4 mos., 13 days) since Jim Abbott (21 yrs., 7 mos., 25 days), May 17, 1989 vs. Boston...Also becomes sixth Angel to throw CG SHO for first major league win, joining Ron Moeller (6/5/61 at Bal. ), Bill Kelso (9/26/64 at Min. ), Steve Kealey (8/21/69 vs. Bal. ), Ed Figueroa (7/12/74 at Bos.) and Tim Fortugno (7/25/92 vs. Det)...Was first Angels rookie to throw complete game shutout since Brian Cooper, June 30, 2000 vs. Oakland and first ML pitcher to post CG SHO in first win since Noah Lowry of San Francisco, Aug. 3, 2004 vs. Cincinnati...Became only third rookie pitcher to defeat New York Yankees twice in one week in 20 years - the other two were Boston's Brian Rose in May 1999 and Texas' Kevin Brown in May 1989...Finished combined 18-9 in 33 starts this season. Spent fourth professional season with double-A Arkansas, posting 2-1 record and 3.30 ERA (43.2 IP - 16 ER) in eightstarts...Allowed three home runs while walking 18 and striking out 48...Allowed 41 hits in 43.2 innings pitched...Strainedright elbow, July 15, and was out for remainder of season...Owns 438 strikeouts to only 161 walks in career. Started season at single-A Rancho Cucamonga, going 10-2 with 2.53 ERA (124.2 IP - 35 ER) with one completegame in 20 starts...Led California League in ERA and average against (.212) and ranked second in strikeouts per nineinnings (9.39) and second in runners per nine innings (10.57)...Named by Baseball America to California League HighClass-A All-Star team...Also named California League Pitcher of the Year and selected as member of California League All-Star team...Promoted to double-A Arkansas, posting 1-1 record and 3.94 ERA (29.2 IP - 13 ER) in six starts...Combinedon season to strikeout 153 batters in 154.1 IP while walking only 48...Held opponents to .211 average against. Posted 14-8 record and 4.16 ERA (147 IP - 68 ER) in 27 starts for single-A Cedar Rapids...Walked 48 batterswhile striking out 146...Finished third in Midwest League in wins and strikeouts...Earned Organization Pitcher of theMonth for July, going 4-1 with 1.82 ERA (34.2 IP - 7 ER) in five starts...Also posted 4-1 record in Aug. with ERA of 4.94(31 IP - 17 ER)...Only losing month was April (2-3, 3.16 ERA). Split time between rookie level Mesa and Provo...Went 3-2 with 3.22 ERA (58.2 IP - 21 ER) with one completegame shutout in 10 appearances (nine starts) with Mesa...Allowed only 40 hits in 217 at-bats (.184 average against)...Led Arizona League in walks (35), strikeouts (69), shutouts (1), complete games (1) and average against by starter(.176)...Ranked second in strikeouts per nine innings (10.57) and third in runners per nine innings (11.57)...Promotedto Provo, going 2-1 with 7.71 ERA (18.2 IP - 16 ER) in four starts...Struck out 22 while walking only 12. April 9, 2019 Chicago White Sox selected the contract of RHP Ervin Santana from Charlotte Knights. February 23, 2019 Chicago White Sox signed free agent RHP Ervin Santana to a minor league contract and invited him to spring training. February 23, 2019 RHP Ervin Santana assigned to Charlotte Knights. October 31, 2018 RHP Ervin Santana elected free agency. October 29, 2018 Minnesota Twins activated RHP Ervin Santana from the 60-day disabled list. September 22, 2018 Minnesota Twins transferred RHP Ervin Santana from the 10-day disabled list to the 60-day disabled list. Reoccurring symptoms related to his original injury to his third finger MCP joint on his right hand. August 19, 2018 Minnesota Twins placed RHP Ervin Santana on the 10-day disabled list. Reoccurring symptoms related to original injury to third finger MCP joint on right hand. July 25, 2018 Minnesota Twins activated RHP Ervin Santana from the 60-day disabled list. July 13, 2018 Minnesota Twins sent RHP Ervin Santana on a rehab assignment to Rochester Red Wings. July 10, 2018 Minnesota Twins sent RHP Ervin Santana on a rehab assignment to Chattanooga Lookouts. May 29, 2018 Minnesota Twins sent RHP Ervin Santana on a rehab assignment to Fort Myers Miracle. May 23, 2018 Minnesota Twins sent RHP Ervin Santana on a rehab assignment to Chattanooga Lookouts. May 5, 2018 Minnesota Twins transferred RHP Ervin Santana from the 10-day disabled list to the 60-day disabled list. Right third finger. March 29, 2018 Minnesota Twins placed RHP Ervin Santana on the 10-day disabled list. Right third finger. May 6, 2016 Minnesota Twins activated RHP Ervin Santana from the 15-day disabled list. April 26, 2016 Minnesota Twins placed RHP Ervin Santana on the 15-day disabled list retroactive to April 20, 2016. Lower back strain. July 4, 2015 Minnesota Twins activated RHP Ervin Santana from the restricted list. June 20, 2015 sent RHP Ervin Santana on a rehab assignment to Rochester Red Wings. April 3, 2015 Minnesota Twins placed RHP Ervin Santana on the restricted list. December 13, 2014 Minnesota Twins signed free agent RHP Ervin Santana. October 30, 2014 RHP Ervin Santana elected free agency. April 9, 2014 Atlanta Braves recalled RHP Ervin Santana from Gwinnett Braves. March 29, 2014 Atlanta Braves optioned RHP Ervin Santana to Gwinnett Braves. March 12, 2014 Atlanta Braves signed free agent Ervin Santana. December 8, 2009 RHP Ervin Santana assigned to Tigres del Licey. July 3, 2009 Ervin Santana roster status changed by Los Angeles Angels. June 28, 2009 sent RHP Ervin Santana on a rehab assignment to AZL Angels. June 22, 2009 Los Angeles Angels placed RHP Ervin Santana on the 15-day disabled list retroactive to June 12, 2009. Pain in his right triceps. May 14, 2009 Los Angeles Angels activated RHP Ervin Santana from the 15-day disabled list. May 9, 2009 Los Angeles Angels sent RHP Ervin Santana on a rehab assignment to Salt Lake Bees. May 4, 2009 Ervin Santana assigned to Rancho Cucamonga Quakes from Los Angeles Angels. April 5, 2009 Los Angeles Angels placed RHP Ervin Santana on the 15-day disabled list retroactive to March 27, 2009. September 2, 2000 Anaheim Angels signed free agent RHP Ervin Santana to a minor league contract.